Crafty Sentiments is having another challenge. The theme of this challenge is "congratulations". 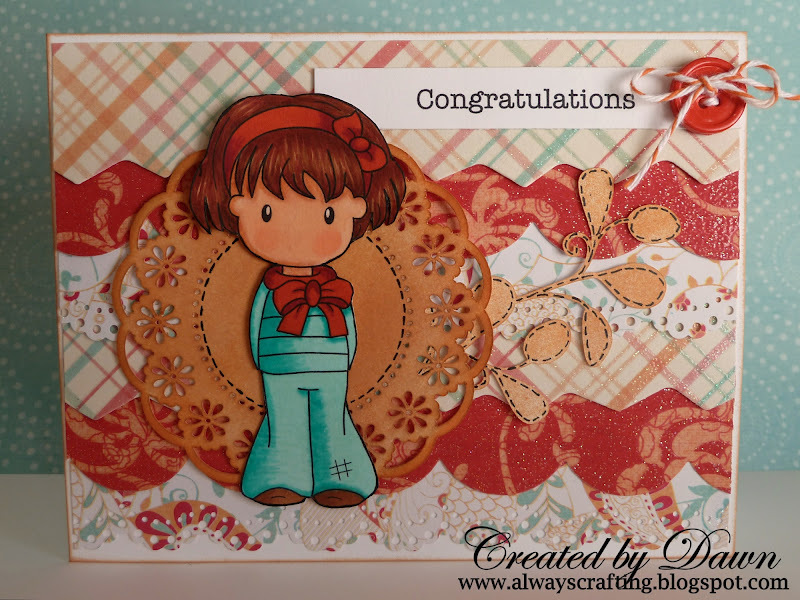 This card was created for a wonderful girl who received high honors at school. You can find this digital image of Kia from Crafty Sentiments here. To enter this challenge head over to Crafty Sentiments here. Cute, cute, cute and I love the colours you have chosen Dawn! Gorgeous colours. Love the the wave effects on the background.